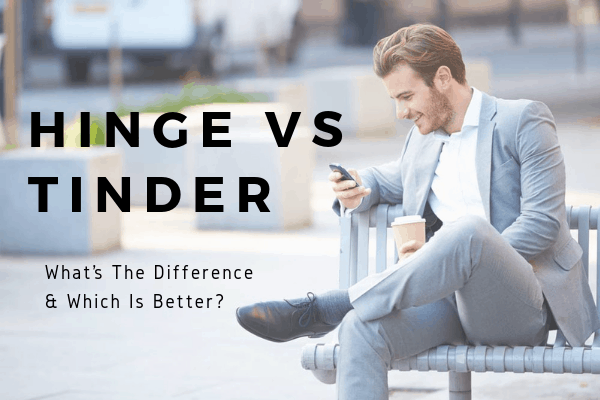 Hinge is king of the “serious” relationship apps – so if you want to meet the best singles around, taking your Hinge profile seriously is crucial. From the best Hinge prompts to answer to plenty of photo tips and messaging advice, this handy guide has everything you need to meet someone incredible on Hinge – all in one convenient place! What Is Hinge & How Does It Work? Get a full run down on everything you’ve ever wanted to know about Hinge! All the details you need to find out if this popular dating app is the best choice for you. They’re both popular, but which is the best dating app for you? Is upgrading Hinge worth it? Expert Hinge profile advice, plus 10 examples that women can’t resist! Find out what types of photos work best on Hinge, and get expert tips for creating an irresistible photo lineup! Learn which are the best Hinge prompts to answer and why they work so well, plus examples of great Hinge lines! Not getting the results you want on Hinge? Fix your problem in 5 easy steps! 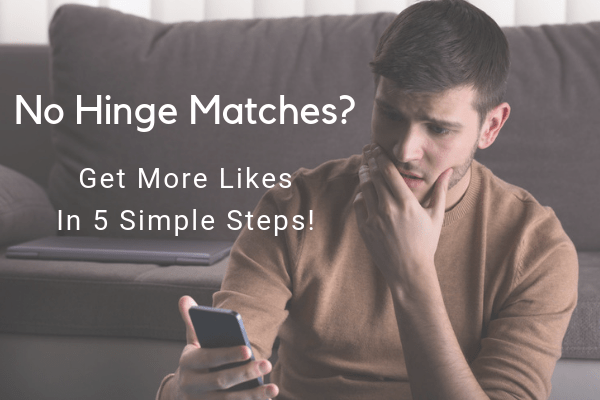 These actionable steps will boost your match rate & help you meet amazing women on Hinge! Are you guilty of making one of these common Hinge mistakes? Hinge FAQ – Common Hinge Questions Answered! How is Hinge different from apps like Tinder? You can change your location at any time, and without a paid subscription. It is marketed as a “relationship app,” so most of the people using it are looking for something more serious. Free members can see who already “liked” their profile. Hinge has more advanced filters than most dating apps, so you can screen for height, ethnicity, and religion in addition to the basics like age and distance. Premium subscribers have access to even more filters. You must upload 6 photos or videos to “like” other profiles. You can send a message at the same time you “like” a profile – meaning you don’t have to match before starting the conversation. You can only “like” 10 profiles a day without a paid subscription. The app will show you a “Highly Compatible” profile each day. After exchanging numbers, Hinge will ask you via a pop-up message a few days later whether or not you’ve met yet, and if you did, how you thought the quality of the match was. Your input on the match quality will help the algorithm select higher quality matches as it learns your preferences. What age are most Hinge users? The bulk of Hinge users are in their 20 and 30s – in other words, millennials. You can see your potential matches in two places – your Discover feed and in the “likes you” section. In your Discover feed, you’ll scroll through profiles one at a time, and either “like” a prompt answer or a photo, or “skip” that profile by tapping the red X. When you “like” a piece of content, you also have the option to include a message. This feature makes starting a Hinge conversation a snap. If that person “likes” you back a match is formed and the message exchange begins. In the “likes you” section, free users will also scroll through each profile one at a time. One of the Hinge Preferred benefits is being able to see all the people who have already “liked” you all at once. Simply “like” them back by tapping the “conversation” icon and a match is formed. When it comes to exchanging messages, Hinge makes it easy to keep track of whose turn it is to send one. If it’s you, you’ll see a blue “Your Turn” tag in the list of active conversations. Hinge profiles consist of 6 photos or videos and 3 prompt answers. Each answer has a 150-character limit, and there are over 80 prompts to choose from – and the selection changes often. How much does Hinge cost? Accessing Hinge’s basic features is free. You can “like” up to 10 profiles daily, and see which users have already “liked” yours. You can also screen your matches via the basic preference filters. Hinge Preferred is the premium subscription option. With a Preferred membership, you get unlimited daily likes, plus the ability to see all the people who already “liked” you in a simple grid view. (Free members have to “like/skip” one to see the next). A Preferred membership will also unlock the advanced filters, like children, pets, drinking, drugs, etc. You’ll also have access to Hinge experts who can answer questions or help with your profile. A premium membership is $12.99/month, with a price break for committing to multiple months at once. It’s $6.99/month for 3 months, or $4.99/month for 6 months. How do I cancel my subscription to Hinge? Hinge doesn’t give refunds, but you can request one via the Apple store or Google. Provide the reason why you want one. To request a Hinge refund on an Android, go here, then select which type of refund you're seeking and follow the instructions. Can I pause my Hinge account? Right now Hinge does not have a way to temporarily pause your account. However, if you don’t want your Hinge profile to be shown to anyone as a suggested match, you can set your preferences to very unlikely combinations (i.e. 7 feet tall and 1 mile away) and specify them as “Dealbreakers”. For someone to see your profile, they have to meet your preferences and vice versa. Hinge is currently available in the US, Canada, Australia, India, and the UK. Can you use Hinge without Facebook? Yes, you can use Hinge without Facebook by signing up with a mobile number. You can also disconnect Facebook from your Hinge profile. From the “Settings” screen, select the “Account” menu. Scroll down to “Connected Accounts” and toggle Facebook off. However, if you originally created your account via Facebook, you must have a mobile number associated with your Hinge account before you can disconnect your profile from Facebook. Can I change my location on Hinge? Does Hinge offer profile verification? While Hinge will verify your account during the setup process, they don’t offer a verification via a selfie like Bumble does. What is a Dealbreaker on Hinge? You can make any of your match criteria a “Dealbreaker” – meaning if a profile fits that criteria, you won’t see it. If you don’t specify something as a dealbreaker, you may see that profile if they are a close match. How do I see my matches? You can view your suggested matches in the Discover section by tapping the “H” icon at the bottom left of your screen. To see who has already “liked” your profile, tap the “heart” icon. Free users can scroll through the profiles one by one, and either “like” or “skip” them. With a Hinge Preferred subscription, you can see all the profiles of people who “liked” you in one grid view. A Hinge match will disappear from your feed if that person unmatched you. There is no way to undo this action. If someone “liked” your profile, but then they disappear, that means they deleted their profile. There is no time limit imposed for matching or messaging. Does Hinge have a daily likes limit? Unless you have a premium subscription, you can only “like” 10 profiles each day. Can I undo a “Skip” on Hinge? No, once you hit the red X, there’s no way to undo it. But if you happen to run out of people in your area, you’ll be shown profiles that you previously skipped. What are “Most Compatible” matches? Once a day, you’ll receive a “Most Compatible” match – someone the app’s algorithm has identified as being particularly well suited. Per the app, you are 8x more likely to actually go on a date with a “Most Compatible” match. What is Hinge’s “We Met” feature? Once you have exchanged phone numbers with someone via Hinge’s messaging platform, the app will follow up in a few days to see if you actually met in person yet, and if you did, whether or not you thought the match was a good one. Your answers won’t be shared with the other person, and it will also help improve the matching algorithm. Can I upload a video to my Hinge profile? Yes, you can upload both photos and videos to your Hinge profile.